The Right Brain: Someone Have A Broken Rafter? Someone Have A Broken Rafter? I advise everyone who goes on a wilderness excursion to be sure to have a structural engineer close by for just such an emergency. 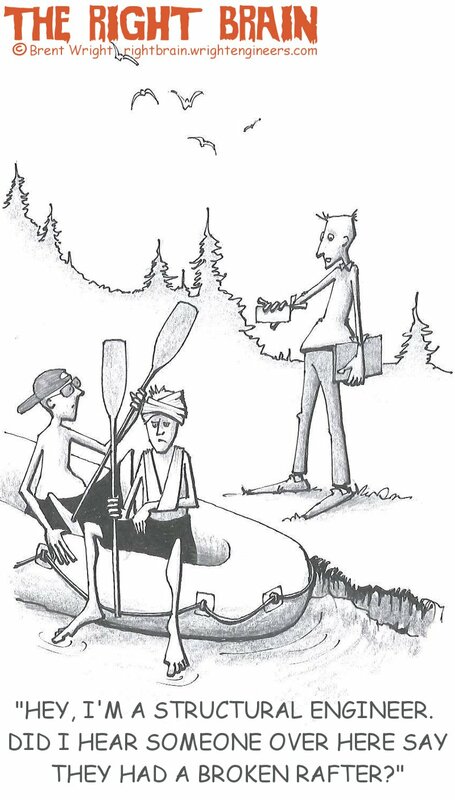 Should you find yourself up a creek without a paddle, a having a contractor along would also be a good idea.